Hello, friends! I didn’t mean to be MIA all week, but I’ve had some busy days following my beach getaway weekend, and my Lenten discipline of staying offline in the evenings has me running behind a bit. 🙂 I’ll discuss more about that next week, but today I wanted to share a super easy DIY for Easter. You probably have everything you need for this right at home! 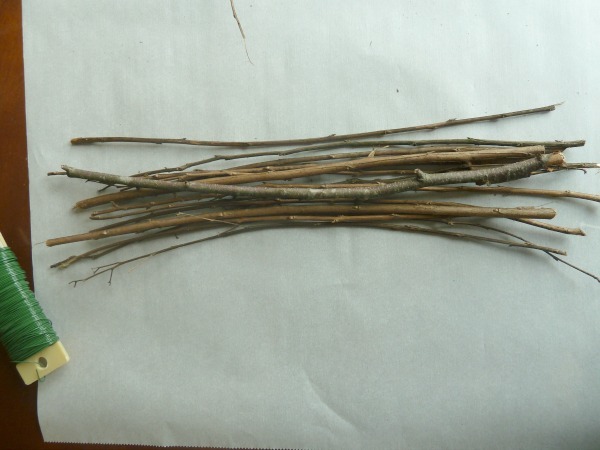 I simply gathered some twigs from my yard, pulled out my garden snips and florist’s wire, and found some ribbon. 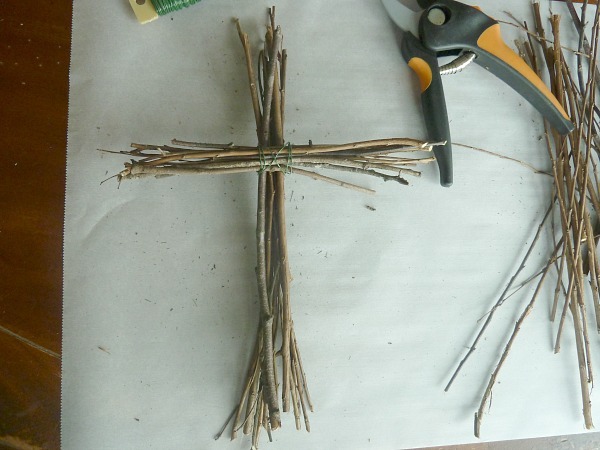 Step 1: Snip your twigs into two lengths — one length for the height of the cross and a shorter length for the arms of the cross. 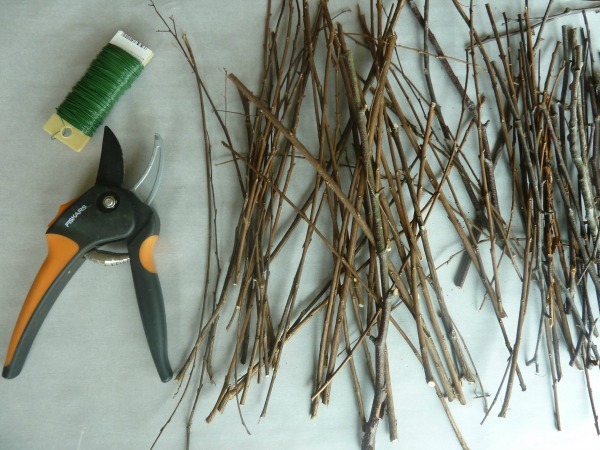 Step 3: Gather and bundle the shorter twigs with that same length of florist wire, attaching it crossways where you wired the longer twigs. You want the wire to be one continuous piece. I just wrapped and attached it all at once using a criss-cross method with the wire. Before you snip it off, make a wire loop on the back for hanging. 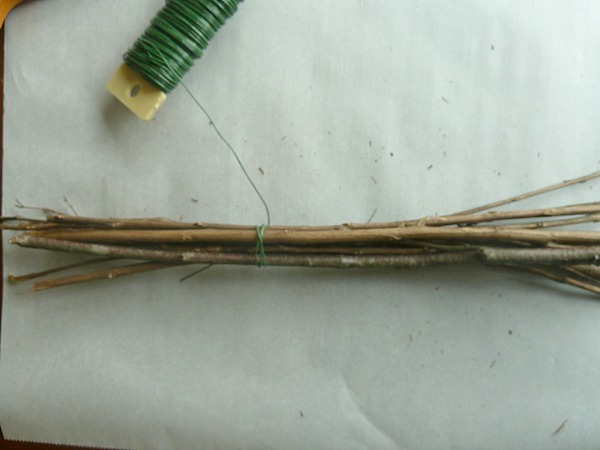 Step 4: Wrap the intersection of the two bundles in a ribbon of your choice, covering the wires and securing it on the back of the cross. 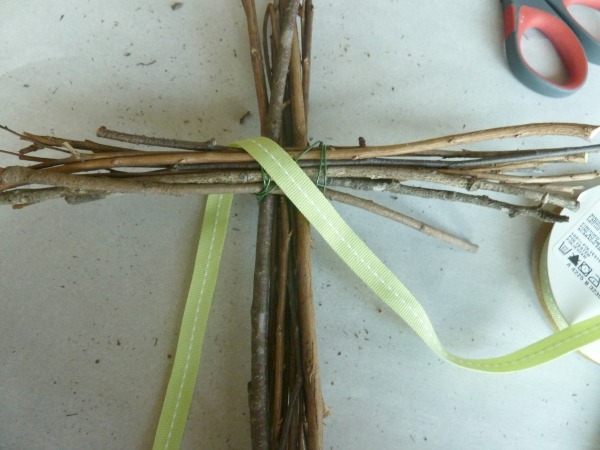 Thinner ribbons work for smaller, thinner crosses. 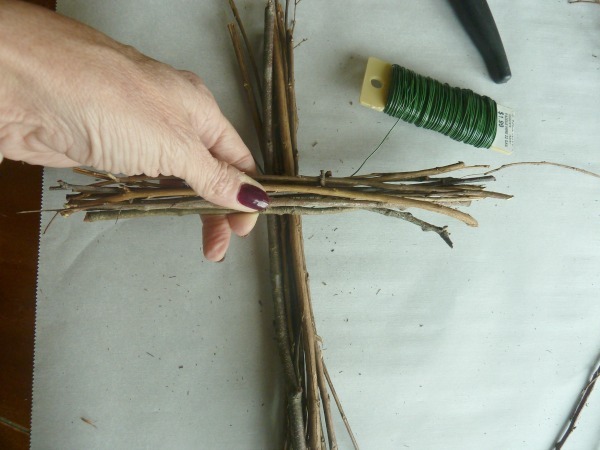 But use a wider ribbon for a larger, thicker cross. I made a couple of these for my home and a couple to decorate my booth as well. And did it all in less than an hour! Wouldn’t they make a sweet little Easter gift? I wish you all a most blessed Easter weekend, rejoicing in His glorious resurrection and our salvation through Him! 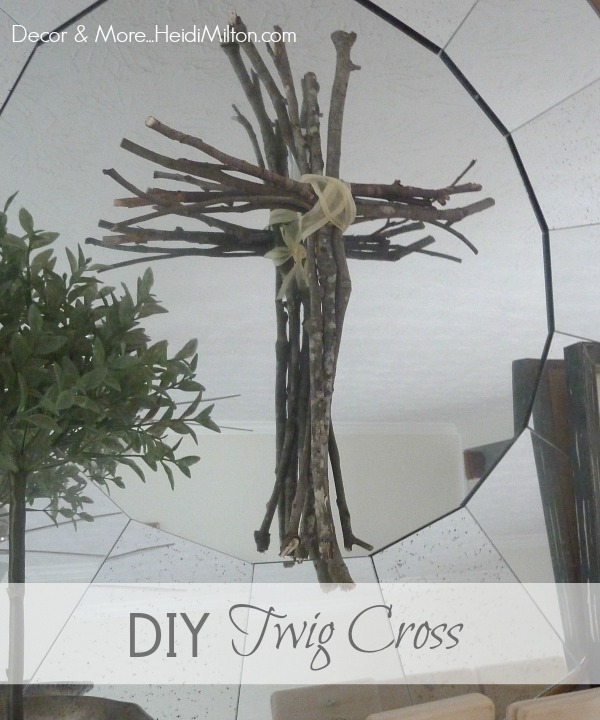 I love your twig cross. I hope you enjoyed your beach time. Happy Easter! 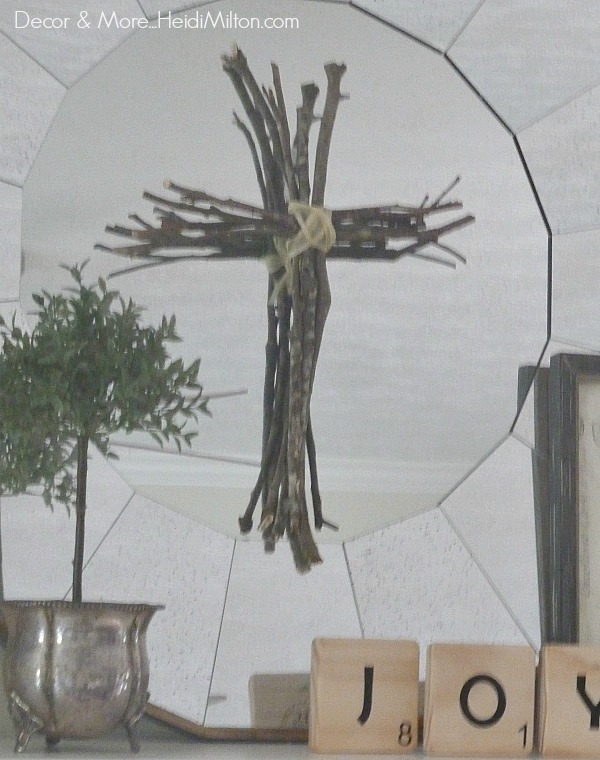 Love the twig cross Heidi….hope you have a most joyous Easter! !